Apple doesn't talk about how many iPhone 5c devices it sells, but the rumors are that it's not doing as well as its two siblings. 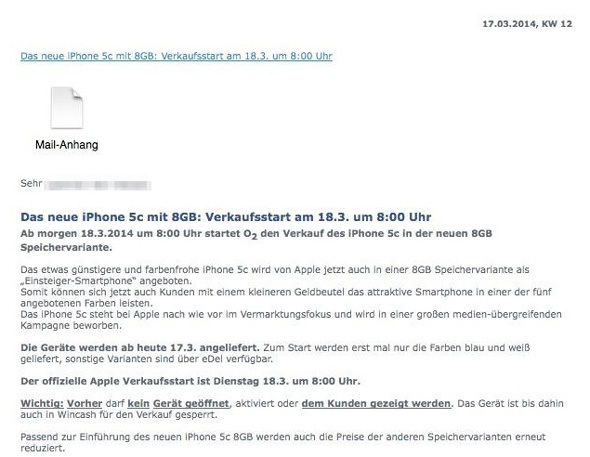 According to leaked documents from O2 Germany, Cupertino is looking to boost its middle child by launching an 8GB version that'll retail for 60 euros less than the current 16GB model. 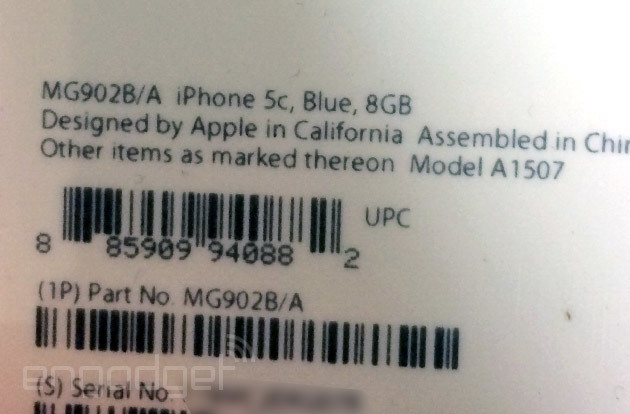 What does this spell for the "bottom tier" iPhone 4S, which is currently offered to customers for free on two-year deals? We couldn't possibly speculate, but if this trimmed-down hardware is appearing in Germany, it's probably going to launch everywhere else in the world, too. Update: We could also see the return of the 4th-gen iPad, which was discontinued following the launch of the iPad Air. 9to5Mac reckons it might replace the iPad 2 as the entry-level tablet. Picture proof after the break. 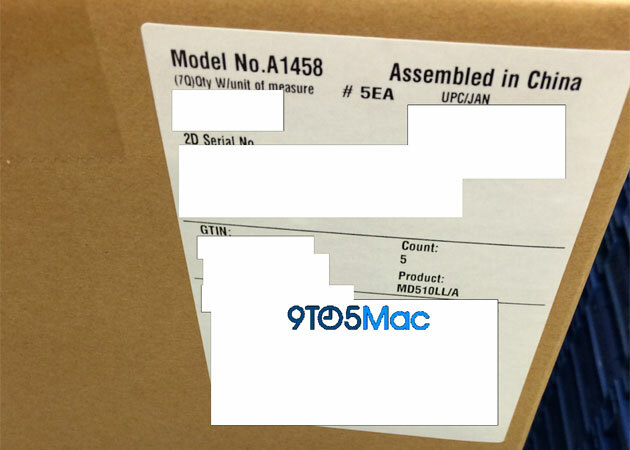 Update: A reader sent in a photo (below) of the 8GB 5c's packaging, confirming that the device is in hand. Update 2: The return of the 4th-gen iPad. An all-Lightning lineup?